FiveFingers Update: Trail Running Tips? This is a picture from the Wallingford Land Trust where I’ve gone out for a few trail runs since the spring. I don’t have too much experience trail running–mostly hiking–but those of you who’ve tried it know it’s kinda like hopping through miles of agility ladders. I tried the FiveFingers in the beginning of June, and it wasn’t exactly a pleasant experience. My feet were battered by the time I finished the run, but at least I felt in control thanks to the grippy soles. The loop I ran consists of some pretty rocky switchback, so maybe the FiveFingers would perform better on smoother trail. Round two was this afternoon. 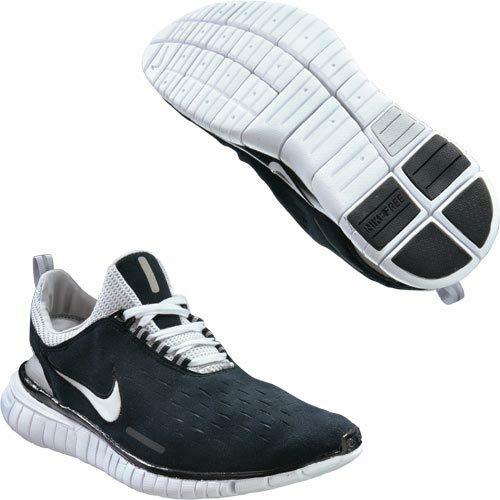 I tried my vintage ’05 Nike Free sneakers. If you haven’t heard of them, they look like this and they were one of the first shoes for those who wanted to try barefoot-style running. Mine used to look like this, but now they look like the were machine-gunned, then crapped on. Needless to say, I was running a risk (sorry pun, I know) taking these out on the trail. Even after tightening them and doing my best to compensate for how my heels leaked out of the slashed backs of my shoes I knew I was in for a challenge. My ankles pitched and rolled as the shoes barely stayed on my feet. After slipping through a mud slick and startling dozens of poisonous dart frogs (ok, I know they’re not indigenous to New England, but they did scare me as much as I them) I then tripped as my feet squished up a hill and nearly impaled myself on a sharp birch stump. At that moment I came to a decision . . . I think I need to get some good trail shoes. Any suggestions? This entry was posted in Equipment, Fitness, Reviews and tagged FiveFingers, Nike Free, review, trail running. Bookmark the permalink. 3 Responses to FiveFingers Update: Trail Running Tips? Sooo many great trail shoes! It seems like you like bare foot style, so you what a shoe that low to the ground like the La Sportiva fire blades, I use them and they rock! But right now their are alot of low profile trail shoes, I might be try something new! Thanks for your recommendation. I checked the site and they listed EMS as my local retailer. When I checked their site, the shoes don’t seem to be available. Any suggestions of alternate places to get them? Do you have a trusted online retailer you can recommend? same as above but they break down quickly. I haven’t seen it (the breakdown) yet but the reviews are pretty consistent regardless of where you look.